I have been wanting to try the chalkboard chalk for marking since I posted about it a bit ago. I had placemats to do so I decided to measure out and mark the grid for the Orange Peel design. 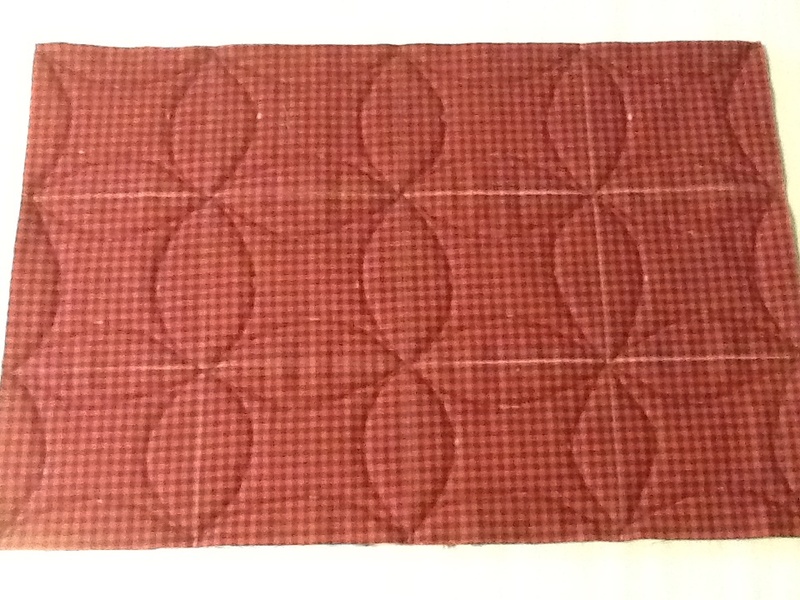 I quilted it in and then used a damp facecloth to go over the marks to remove them. It worked very well and I will be using this marking method on my next quilt. I did before and after pictures of the placemat. ...and after wiping with a damp facecloth and letting it dry. I have been using chalk for a long time. When I'm done I just throw it in the wash. Works great. after reading the post the other day I have been shopping for some chalkboard chalk. I have can't find at anywhere. I was sure that it would be in the back to school supply, not. so looking in the office supples no luck but I have not gave up yet. I'm thinking of go with sidewalk chalk, and use sandpaper to get the point. I have found it in the Crayola aisle near the card dept at Wal-mart. I tried powdering it and using it in one of the little things with the wheels but I couldn't get it fine enough. Next time I'll just sharpen it and try it that way! I like to use tailor's chalk. It's got a sharper edge than chalkboard chalk. I got mine at Nancy's notions. I would be careful using sidewalk chalk, I've had it stain my driveway for days even after a rain. This is what I am using. It was in the Crayola aisle of my Walmart and was about $3? As you can see the make up pencil sharpener works really well for a nice point and there will be enough sticks in this one box to last a loooong time. Another nice method but I draw the square line and FMQ in the petals on each side of the lines. If you look at the first picture, you can see the little chalk marks about an inch from the lines drawn. Those are for me to keep the petal sides consistent. I start at the top left corner and go across, then down the line and up the the other side of the line than the next top petal and so on. I can do the whole design in this manner in one continuous FM. I probably would not use sidewalk chalk. It seems to have a greater density and may be very difficult to get out even in the white colour. I would not use any of the regular chalk colours other than white or the pale yellow. Last edited by costumegirl; 08-17-2013 at 04:13 PM. Thanks for sharing. I like it. Going to have to try it. I love your quilting design!!!!! Try a teacher's supply store! or Office Depot, Staples, Office Max. Most teachers' supplies stores may have the better deals! Very cool idea, thank you!!!! I would suggest you NOT use the dustless variety of chalkboard chalk--it has an added "oil" to make it less chalky and could stain your fabric. Also, instead of wetting it to remove, try using a wad of netting or a Mr. Clean sponge thing (I haven't used Mr. Clean, but have been told it works well too). I tried the dollar store, Walmart, and finally ended up ordering on Walmart.com to get the chalk I wanted. I'll have to try the chalkboard chalk.... I should have some somewhere.... I was a teacher for 30 years. I have been using the waxed chalk that they sell at my LQS but it is pretty expensive. It looks like tailor's chalk but is waxy. A hot iron takes that away but I have to cut a sharp edge pretty frequently. You can sharpen chalk? Really? Did the sharpener come with the box of chalk? I just thought it would break apart or crumble. 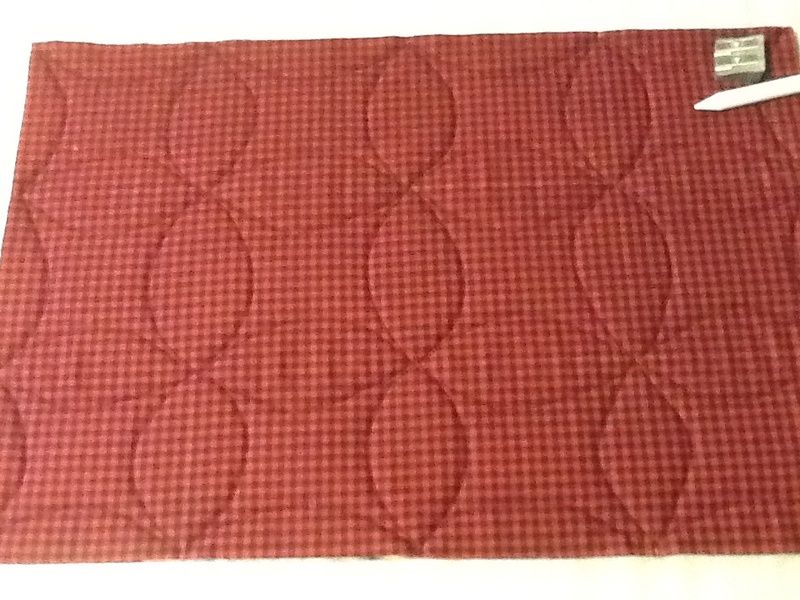 Am I the only person around who didn't know this?You quilting looks good. [QUOTE=My time;6243665]You can sharpen chalk? Really? Did the sharpener come with the box of chalk? I just thought it would break apart or crumble. Am I the only person around who didn't know this?You quilting looks good. 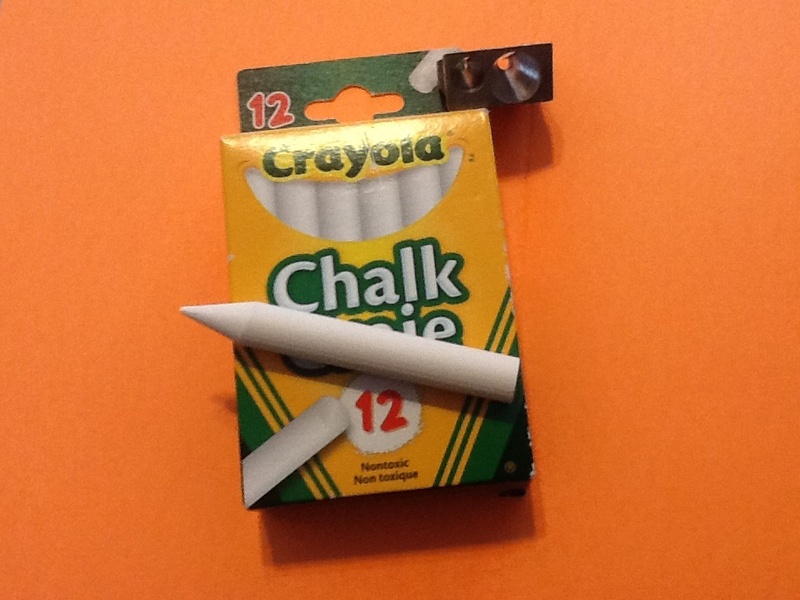 [/QUOTEI used the good Crayola chalk and started the chalk gently in the pencil sharpener to make sure it would not sharpen crooked. It sharpened very easily and this is still my first piece out of the box. The pencil sharpener is left over from my younger days when I used to sharpen the bigger lip liner make-up pencils. Since it is back to school time, I think you can get the pencil sharpeners that sharpen regular pencils and the thicker ones. Wal mart chalk is about 48 cents a package. Don't use colored chalk as it may not wash out. I used a pale peach on very light blue flannel because the white wasn't showing up well enough. After two washings it was still faintly visible.